A woman reportedly tried to open an airplane door on a flight from San Francisco to Boise, Idaho, Monday before the plane landed safely, according to officials. A woman on Monday reportedly tried to open an airplane door on a flight from San Francisco to Boise, Idaho, before she was restrained, according to officials. 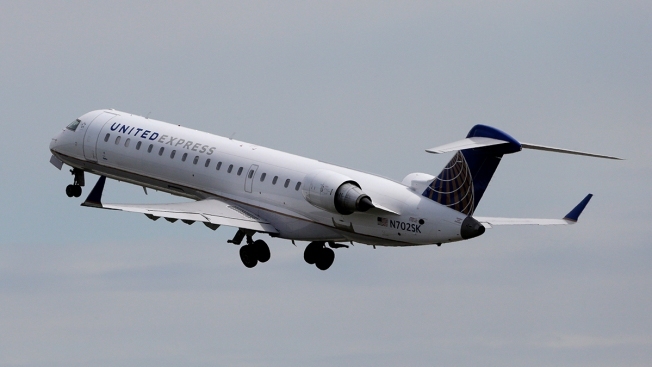 The "unruly passenger" on SkyWest Airlines Flight 5449 — operating as United Express — was later taken to be examined by the Idaho Department of Health and Welfare, according to officials and NBC News. Video obtained by KIVI appears to show people restraining the woman as she apparently states "I am God" repeatedly. Police said the passenger, who has been identified as a woman from Boise, had not been charged or booked into jail as of Monday, according to police. The plane landed safely around 11:45 a.m., according to police. No one on the plane was hurt during the incident. Police and the FBI are conducting investigations, officials said.